Ladies Choice! 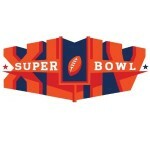 Women Talk Superbowl XLVI Picks - Will It Be the Giants or the Patriots?? Ladies Choice! 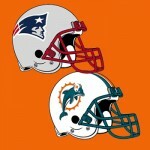 Women Talk Super Bowl XLVI Picks – Will It Be the Giants or the Patriots?? Are you ready for the sequel!? Yes, it’s that time of the year when football fanatics everywhere are anticipating the big game. After a great regular season and an exciting playoff, the stage is set for Super Bowl XLVI. On February 5, 2012, the NFC Champions the New York Giants will go up against the AFC Champions the New England Patriots at the Lucas Oil Stadium in Indianapolis, Indiana. Who will reign supreme this Sunday? Sure, we could have asked all our man friends about who they’re betting on, but to shake it up a bit, UrbLife.com gathered up some football-loving Gen-X women for straight pigskin talk! Who can forget the last big match-up between the Giants and Patriots four years ago in Super Bowl XLII, which ended in a thrilling victory for the boys in blue! But this is a new year! The Giants are on fire and have the momentum, while the Patriots have their superstar quarterback Tom Brady at the helm of a great offense. In the post-season the Patriots and the Giants are ranked number three and four in passing yards, respectively. Defensively the Giants have the upper-hand in rushing with 120.3 yards per game compared to the Patriots 130.0. The Giants have been on a revenge streak during their playoff run. They lost to both the Green Bay Packers and the San Francisco 49ers during the regular season, but these are the two teams they beat leading them to the Super Bowl. Most would agree that the Patriots are out for Giants blood this time around. Of course the previous Super Bowl loss is still vivid in their minds, but they took an L to the Giants earlier this season as well. Let’s meet the ladies we brought in for this chat! Read on as they discuss who they think will win the Super Bowl XVLI, final scores, and more, then let us know your thoughts! — Spantaneeus – Entertainer, Model, and CEO of Pleasure Life Music Publishing, Inc.
Who will win Super Bowl 46, and what is your prediction for the final score? Anne Torres: 28-21 – Do you have to ask? Big Blue of course!! Diana Cotoroi: 17-7 – Giants, of course! Terri Bloomer: 14-10 – New England Patriots – revenge! Eb the Celeb: 28-10 – I really really hate both teams, but being a Cowboys fan, the disgust for the Giants is more then my disgust for the Patriots. The Patriots will win solely because they are coming for blood. This will not be a repeat from the Super Bowl in 2007 where a fluke play with seconds left in the game ended in a Giants win. Because of that, the Patriots aren’t even going to let it be a close game. They are going to blow the Giants out! Spantaneeus: 34-24 – I think New England Patriots. Dawn Jackson: 31-28 – Really?! Is that a legit question to ask one of the biggest Giants fans?! Liris Crosse: 28-22 – My NY Giants of course! We’re ready to give Tom Brady more Super Bowl lost nightmares! What does the team that you chose have to do in order to win? Trina Smith: [Giants] Put pressure on Brady, with his favorite tight-end Gronkowski probable (high ankle sprain) it will be interesting to see who he will throw to. Anne Torres: [Giants] Giants defense will have to put the pressure on Brady fast to shut down the passing game. Keep the running game strong and let our “big 3” – Cruz, Manningham, and Nicks do their thing. Diana Cotoroi: [Giants] I would think stay focused. Terri Bloomer: [Patriots] Protect Brady– he can’t take the sacks! 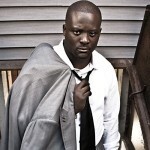 Eb the Celeb: [Patriots] They just have to have Tom Brady on point. Every time the offense is on the field they have to score either a touchdown or a field goal. Their defense has a lot of loop holes in it so the key to winning this game is going to be the offense just making it so extremely hard for the Giants to match. Spantaneeus: [Patriots] Both quarterbacks need to focus under pressure especially if it’s a close game going into the 4th quarter. Dawn Jackson: [Giants] The Giants have to do the following in order to win the game: a) Block your quarterback! I can’t say that enough! b) No interceptions c) No fumbles d) Run the ball into the end-zone! Liris Crosse: [Giants] We have to get our running game going from the start! What is one thing that each quarterback should or should not do the night before the Super Bowl? Trina Smith: Both quarterbacks should talk to the offensive lines those guys are key to keeping you off the ground! Look at highlight reels and see where you can expose the defensive coverages. Anne Torres: Avoid hanging with Cundiff and Williams the night before. Diana Cotoroi: Don’t drink alcohol, but drink lots of water! Terri Bloomer: No partying! Stretch, warm up and relax. Eb the Celeb: Well, players have a curfew so they won’t be able to do anything anyway. Spantaneeus: They should not listen to the media! Dawn Jackson: Eli needs to attend all practices, relax, have a clear head during the game, and don’t party. Save that for after we win the game! Liris Crosse: They should get a good night’s rest, pray, and they shouldn’t stay up late on Twitter or on their phones! They need to block all friends, family and media out and focus. Get your eyes on the prize! Any more comments or trash talking you want to add? Trina Smith: I’m proud to be a New York Giants fan, been one since ’84! By any means necessary Big Blue bring the Lombardi trophy back home! Anne Torres: I said the Giants would make grilled cheese in Green Bay, Rice-a-Roni in San Francisco, and now we’ll be making clam chowder out of New England. I mean, really, would you trust a quarterback who posed in Uggs ads? Diana Cotoroi: Devin Thomas is gorgeous, the Patriots will lose, and I am baking 300 delicious blue cupcakes for the game. Terri Bloomer: Looking forward to the game, but I would have liked to see some other teams in it. 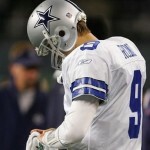 Eb the Celeb: Win, lose, or tie, Cowboys fan till I die! I have a bet on this game where if the Giants win I have to buy and wear Giants gear head to toe, and take a picture – so go Patriots! Spantaneeus: Let’s go Eagles! Make my birthday gift a reality and be in the Super Bowl for 2013! 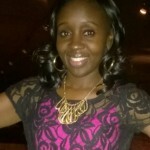 Dawn Jackson: I just want to say congrats to the New York Giants!! I am extremely ecstatic that you’re in the big game! I have won six bets on your games this season, and I must say that I’ve had a lot of people delete me from their Facebook friends list! Go Giants! Liris Crosse: My Giants will once again show why we’re number one, and send the Patriots back with the same empty feeling from our last Super Bowl meeting! They can come party in New York with us next week, drinks on the champions! If your team isn’t in the Super Bowl, don’t fret! Come join us next season and cheer your favorite team on at Football Le Femme: For the women who love football and the men who love both! The ladies have spoken! 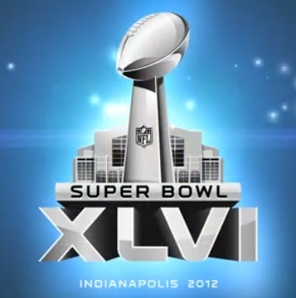 So who do you think will win Super Bowl XLVI?